China’s current military reforms are unprecedented in their ambition and in the scale and scope of the organizational changes. Virtually every part of the People’s Liberation Army (PLA) now reports to different leaders, has had its mission and responsibilities changed, has lost or gained subordinate units, or has undergone a major internal reorganization. Drawing on papers presented at two conferences co-organized by the U.S. National Defense University, The RAND Corporation, and Taiwan’s Council of Advanced Policy Studies, this edited volume brings together some of the world’s best experts on the Chinese military to analyze the various dimensions of the reforms in detail and assess their implications for the PLA’s ability to conduct joint operations, for the Chinese Communist Party’s control of the army, and for civil-military integration. The contributors review the drivers and strategic context underpinning the reform effort, explore the various dimensions of PLA efforts to build a force capable of conducting joint operations, consider the implications for the PLA services, and examine Xi Jinping’s role in driving the reforms through and using them to strengthen control over the military. 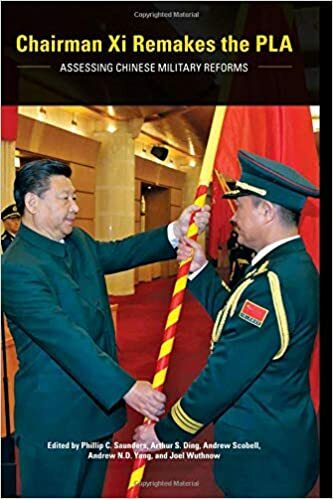 The chapters chronicle successes and outstanding problems in the reform effort, and consider what the net effect will be as the PLA strives to become a “world-class” military by mid-century, if not much sooner.